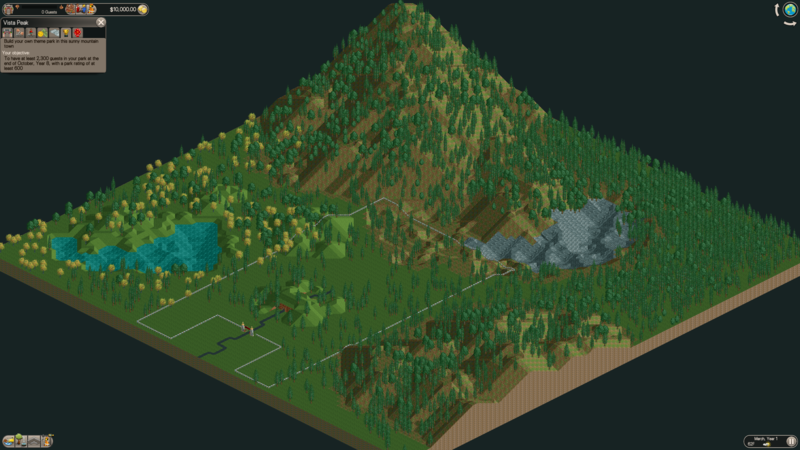 This is a custom scenario where you have ample time, startup funds, and a generous loan available to you in order to make a bustling theme park in a sleepy mountain town. 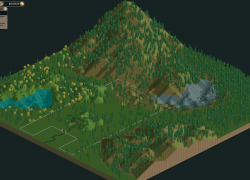 I built this scenario after playing through the campaign and wishing I had more time to fully develop parks rather than meet 3 year goals. The landscape is ripe for tinkering and building a fantastic park around it. Start with the theme park basics and unlock plenty more rides, themes, and food as you go. You start the scenario with limited owned land but can purchase land on the entire map.